Category: Ceramics. Tags: gift, handcrafted, Morocco, one of a kind, preservation traditional craft, social enterprise. A beautiful silver rimmed bowl from the Tamegroute pottery, a cooperative, in southern Morocco. 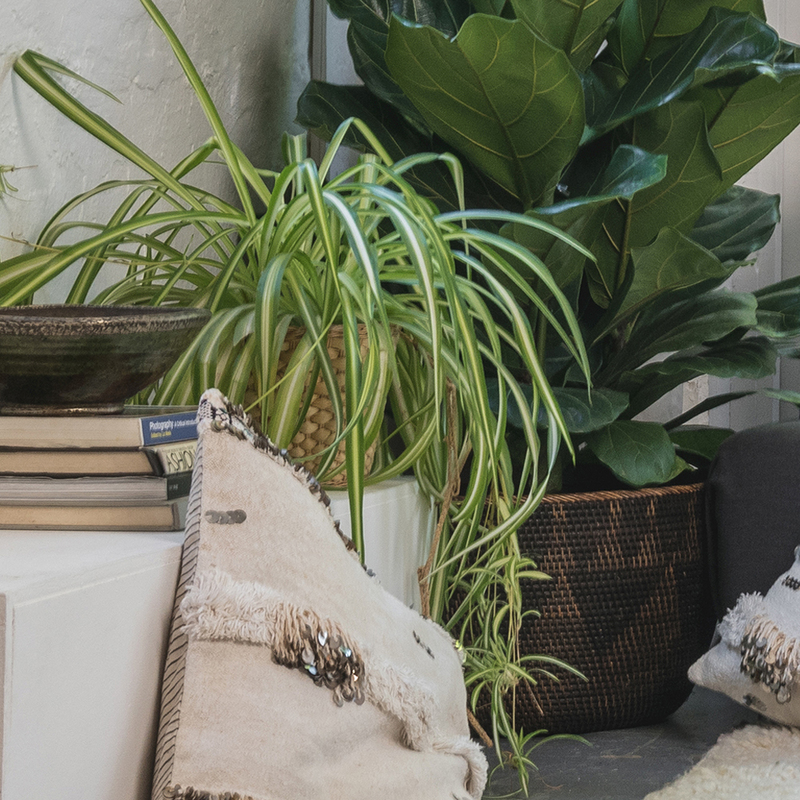 Each piece is made by local craftsmen using techniques and a special green glaze handed down from generation to generation. Scroll over the images to see the bowl in more detail. 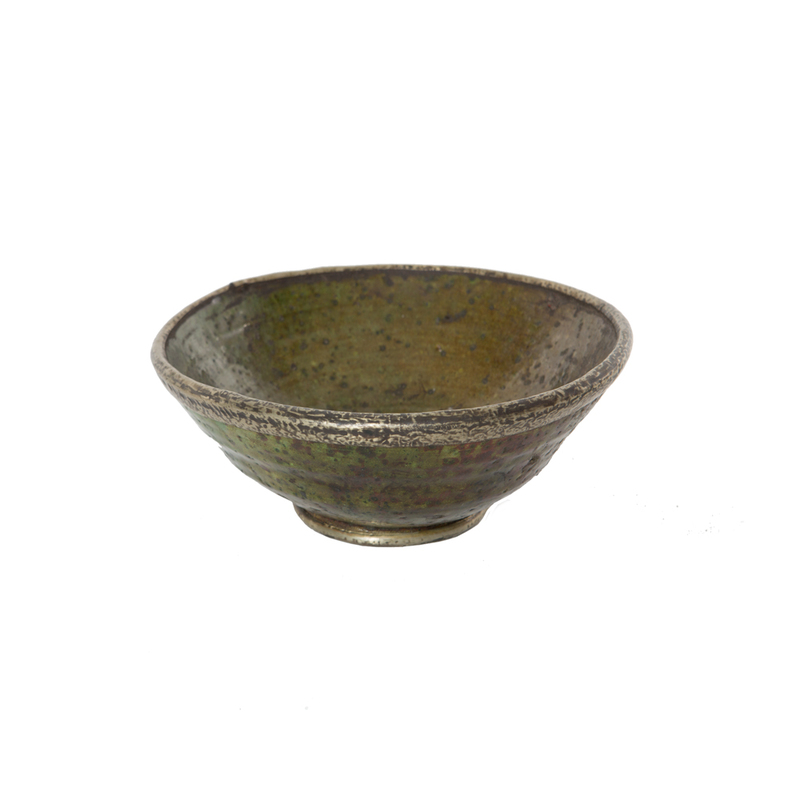 The distinctive glaze, containing magnesium and copper, creates a multitude of colours ranging from earthy brown through rustic green to turquoise. There are infinite variations in the glaze so no two pieces are alike. Less than a dozen people know the secret formula for this glaze and so far no-one has been able to copy it although many have tried. 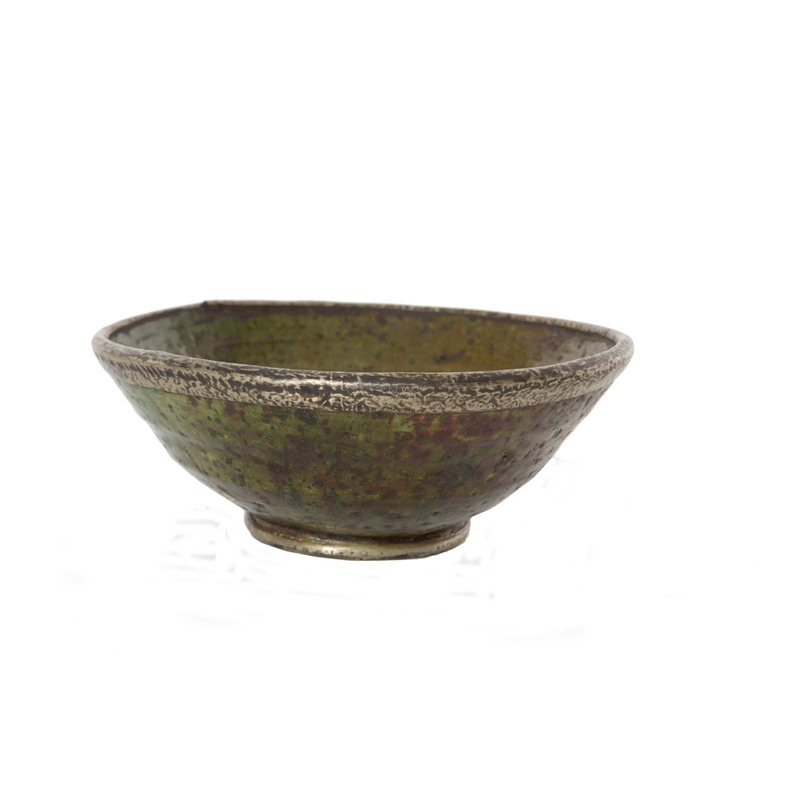 This bowl is hand thrown and hand finished with a rim and base of beaten silvery metal. 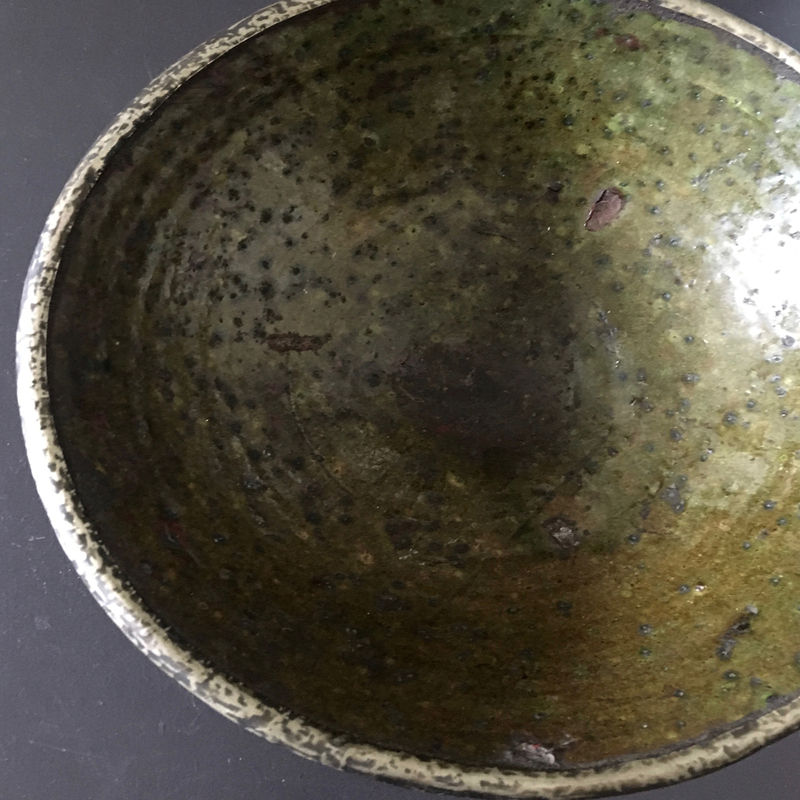 The silver contrasts with the myriad of greens in the the glaze. Clean with a damp cloth. Do not submerge in water.